We sat in the sun and its heat beat down in the same way my heart beat up. I felt sunny, as if my heart were strolling along and whistling back at the optimistic blue sky. But my friend was a different kind of blue, and she told me why, and her tears sprang easily. I could see so clearly how God was using her and moving in her and gifting her and loving her, but her heart was clouded by that constant and persistent enemy: discouragement. The questions I asked my friend and the words I spoke over her in response to her discouragement came in quite handy, for within the day the clouds rolled in on my own sun. Discouragement feels much like an overcast day, doesn't it? Heavy, foggy, and cold. The clouds rolled in on me for various reasons--someone found my work distasteful, a child dodged (again) the wisdom I'd tried to impart, the endless demands kept endlessly demanding of my best energy and attention, several seemingly insurmountable obstacles jumped into my view. I always know the clouds have rolled in when I find myself jumbled and uncertain, wondering most of all if what I'm doing for the Lord is worth the effort. We all face the cloudy days. Though it is a worthy conversation, I'm not talking about depression or mental illness here; I'm talking about the days when we question if our lives matter, if what we're doing counts for anything, if God is at work. I'm referring to what Hebrews 12:12 calls "drooping hands and weak knees": the discouragement that comes with simply living. The Christian is not immune to discouragement. In fact, because the Christian life is a fight against sin and flesh and all their wayward children, we may often find ourselves knocked down, weary, and needing to get back up again while feeling we lack the strength to do it. This time, when the clouds rolled in, I thought back to my friend. She'd ask me, "How do you get out of your funks?" And I'd been so certain of my answer on that sunny day. Now, on the cloudy one, I needed to put into practice what I'd offered her. I needed to go back to the questions I ask myself in order to diagnose my discouragement. What am I actually wishing for or hoping for in this circumstance? Is it a certain outcome or result? And is that outcome or result concerned with self-glory or God-glory? What was I doing in the moments before I recognized my discouragement? Was I comparing myself to someone on social media? Was I attempting to control a situation and not getting my way? Was I scrolling through an internal litany of worries or possibilities that make me anxious? Am I focused on being faithful or rather on how I (or my children) appear to other people? Am I doing what I'm doing for the Lord or am I rather looking for some form of validation? Where is my gaze? Am I staring hard at my discouragement, feeding and fueling it? Or am I making intentional efforts to respond to it with a God-ward response? How Am I Responding or Have Been Responding? God commands me not to be dismayed or fearful or full of worry. He says that I'm instead to "cast all my cares upon him because he cares for me." Am I casting my cares on him or holding them tightly to myself in worry or despair? Am I looking to other people to magically "fix" my situation and, therefore, rescue me from my discouragement? Am I acting from a belief that if I work harder next time, I can prevent my own discouragement? Am I receiving the gifts of God's care that he's instituted for me: am I getting enough sleep? Am I getting exercise? Am I spending time with friends? Am I taking time off from work? Am I placing myself within the care of the Church through my presence, my commitment, and my relationships? 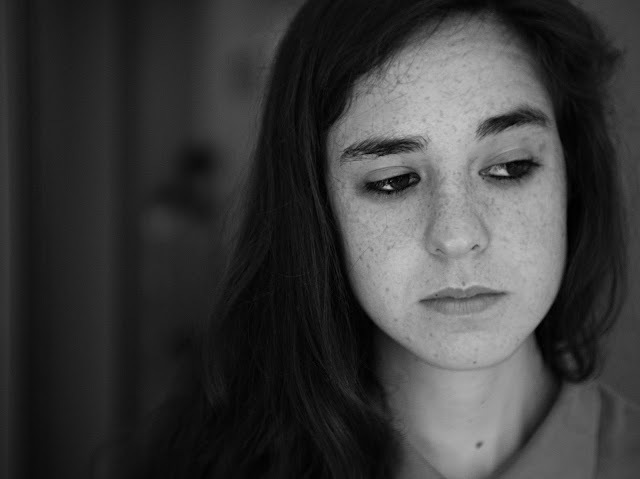 After I've cast my cares upon the Lord, do I need to talk to someone about my discouragement? What would it look like for me to trust God in what I'm facing? After diagnosing why I'm discouraged, I need lots and lots of truth. And then some more truth. What does God require of me? The answer is always faith and obedience. Am I living from a different answer? Have I forgotten that Jesus said, "In this world you will have trouble"? How is my discouragement pointing me to him in order to "take heart" by the One who's overcome? How is God caring for me? How has he provided for me in the past? How does he promise he will care for me in the future? (It helps for me to write down specifics.) Do I believe him? What do I see God doing in and around me? Am I only rehearsing a litany of my worries or am I purposefully noticing and thinking on the ways I'm seeing and experiencing God's goodness? Am I frustrated with a circumstance that is out of my control? How will I trust God in it? What specific verses or attributes of God speak to my discouragement? Friend, if you are in a place of discouragement, may these questions serve you well. I would like to pray for you. Please leave me a comment and I will pray, even if you don't want or need to disclose your specific circumstance. In addition, I recently taught our women's Bible study on Philippians 2:12-18. God spoke to me powerfully about discouragement in my preparation. May listening to the talk serve you in some way. Finally, my plan is to do an occasional series in the same vein as this post: a "How Do You Do" series where readers like you send in questions about anything big or small that you have a question about it. Maybe it's "How do you do your Bible reading?" or "How do you do hospitality?" It can be anything! Comment below with your question.